I’ve already done one video on CP/M on the RC2014, but when I built the Zeta 2 Single Board Computer, I liked Sergey Kiselev’s design so much that I thought I’d try to adapt it over to the RC2014. The new design, based on the Zeta 2 by Serget Kislev, uses a 512 KB Flash ROM and a 512 KB static RAM. There are two register file chips that implement a 7-bit paging register. This allows you to slice up the Z80’s 64 KB address space into four windows, each of which can point to any 16 KB page in ROM or RAM. RAM disk allows programs to be downloaded, assembled, etc. Absolutely great!! Thank you for sharing your work. you will share this on OSHPARK or the Gerber files. Nice project ! Interested in your case design for RC2014. Can you share the design ? Can you please tell me where can I order the case ? Thank You. the serial console mirroring part to the vfd display ? I changed the options to allow people to build for different hardware. The “SIO” option will build for the SIO/2 board that I had configured in my RC2014 in the video. 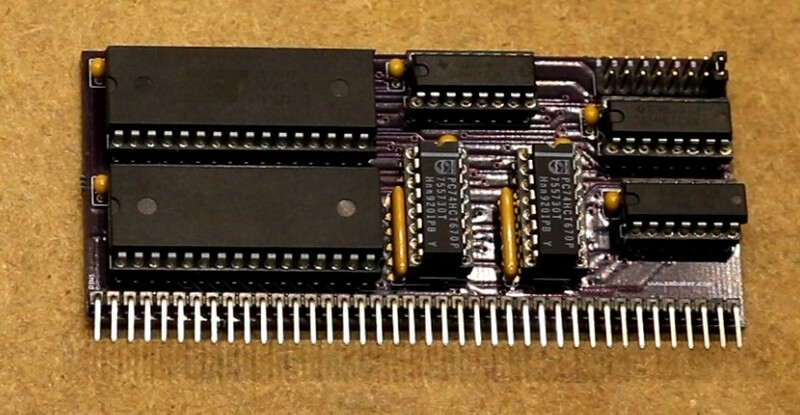 The “ACIA” option will build for a 68B50 ACIA (the RC2014’s original serial board). Assuming you are also building the SIO/2 board, then you chose correctly. 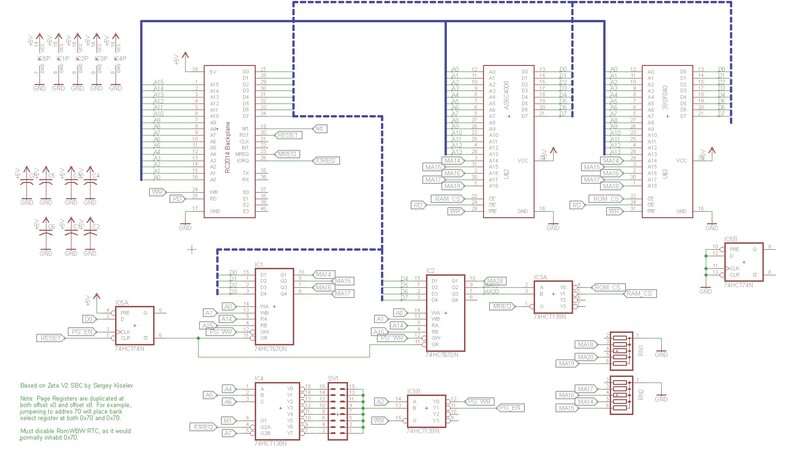 This is a great board, can we have an explanation of the “SV1″ header and the purpose of the jumper connections? SV1 selects the address the page registers are at. You can select any of eight addresses — 00, 10, 20, 30, 40, 50, 60, and 70. The registers will appear twice within the address range. Jumpering to 70 will place the page register at 70 and 78, and the page enable register at 74 and 7C. For compatibility with RomWBW, you would want to jumper it to 70, as RomWBW expects the page register at 78 and the page enable at 7C. It is so satisfying when a project goes together and works the first time it powers up! Mine was built with the original RC2014 ACIA serial port. It is kind of cool that Wayne’s RomWBW has both CP/M and ZSDOS built in. Many thanks for all the hard work you put in getting all the hardware working! Now, on to the WDC floppy card tomorrow. Hi Scott, ROMWbW working great on CP/M and standard cfg (ACIA)- have now built SIO/2 pcb only (not the RTC) and burnt the SIO/2 eeprom. when I power up I get the standard boot screen but when I type a command e.g ‘C’ nothing happens. I’ve scoped the RX signal right onto the RC14 bus and it’s there OK, therefore is there something I’m missing? Do I need to tie any of the SIO/2 ports down on Port B? or any other links with no RTB? Is the second SIO port available for use under this implementation of RomWBW?